嚜� Kenny Engineering Co., Ltd.
Kenny Engineering Co. Ltd provides road marking painting, expansion joint & anti-skid surfacing works for public roads and car park. We are one of the List of Approved Suppliers of Materials and Specialist Contractors for Public Works by Works Bureau. 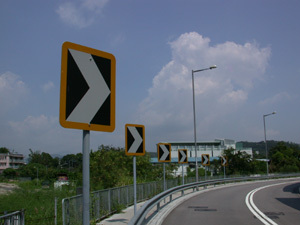 Besides, our company also produces reflective traffic signs, digital color jet printing and road safety products. Copyright 2004 Kenny Engineering Co., Ltd. All Rights Reserved.